Ripple Grove Press, 9780999024904, 36pp. Seb is determined to find some light for his sleepy coastal town. It is so far north, the sun does not shine in winter and the days are cold, dreary, and dark as night. So Seb embarks on a mission to find the sun. Along with his friend Walrus, he makes a plan, collects supplies, and rows far out to sea. 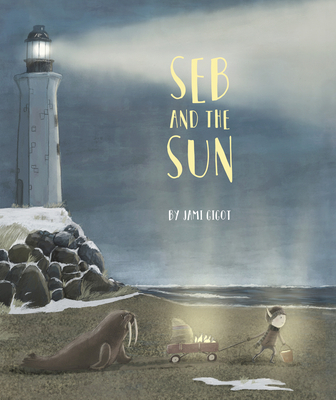 Will Seb be able to find the sun and bring its light and warmth back to his town? Jami Gigot is a digital artist who has worked on several films including Avatar, Tim Burton's Charlie and the Chocolate Factory, and Captain America. She is the author of Mae and the Moon. She lives in Vancouver.